The directions to and through this route are very easy. Start your route in Payson, UT. Exit off of I-15 at exit 254 on to County Road 115 (AKA Main Street), take that south till you get to intersect E-100 N and go left, take a right on to S-600 E (Peteetneet Drive). This road becomes W Canyon Road and later turns into Nebo Loop Road and your there. Once you get on Nebo Loop Road "get ready to rumble!" This route has been declared by the government's to be one of the country's few official DOT Scenic Byways. You'll see the incredibly beautiful and powerful looking Mt. Nebo one of the highest peaks in Utah and is the highest peak in the Wasatch Range at 11,877 feet. Along the way you'll travel through canyons, aspen groves and pine forests as you pass through the incredible Uinta National Forest. Great route in the fall as the Aspens and Maples change colors. This road is a blast in terms of its motorcycle-road-quality. The road starts out in a narrow canyon following a trout stream as it finds its way through the canyon. Eventually the road climbs out of the canyon on its way towards Mt. Nebo. It has plenty of switchbacks to keep your handlebars turning. Also keeps your engine challenged with a good deal of climbing, and your brakes might be smoking after racing down some of the fast descents. Caution: this route is closed in the winter and like any mountain road can experience severe weather changes. 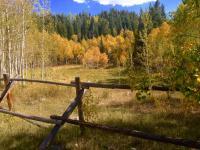 The entire route lies in the beautiful Uinta National Forest. The town of Payson has an annual Payson Golden Onion Days - it features fireworks, flowers and art shows. Call (801) 465-0533 for more information. Stop at the Utah Lake Overlook for a magnificent look at the turquoise colored waters of Utah Lake. The lakes color comes from its shallow depth (no more then 20 feet deep). To see some cool sandstone rock formations, make sure you plan to spend an hour or so at the Devils Kitchen Geologic Interest Site. The Ponderosa and Bear Canyon Campgrounds are located in a quite little area of conifers. You can find the trailhead to the Nebo Bench Trail near by. This trail can take you all the way up to the summit of Mt Nebo, if you're up to the challenge. on October 27, 2014 1 out of 1 members found this review useful. I do this ride multiple times every year and have to say it's one of the best, if you're looking for twisties with tremendous scenic value. If you're only going one way, best ridden in my opinion from the Payson side. Better is to ride it both directions. The road tops out over 9000 feet, so there is often snow well into June, and it may snow as early as October. Absolutely fabulous in early - mid October when the leaves are changing. Best ridden on a weekday, when you can carry more speed into the corners without worrying so much about running up the tailpipes of the leaf-peepers in front of you. Watch for gravel on the road, especially after rainstorms. Also cows and cow leavings. on August 29, 2010 1 out of 1 members found this review useful. Great route. do not wait to late in the summer. very high elevation. Must ride both ways. watch for animals and hunters. Best weekdays if possible. on May 6, 2008 1 out of 1 members found this review useful. on September 18, 2017 0 out of 0 members found this review useful. I rode the MT Nebo Loop September and it was one of the most beautiful rides I have ever done. Some of the views are incredible. Plenty of area to stop and enjoy the views. The road is twisty and climbing at the same time. I entered from the Payson side, either way would be great. Watch our for cow patties on the road and cows and deer along the route. This will go down as one of the most spectacular rides, if not the most spectacular ride ever. This is the best motorcycle road I've ever been on. Fun twisties, and mind-blowing scenery especially when the leaves change. I moved to FL, and am now moving back to Utah, and roads like this is one of the main factors in that decision. on September 26, 2014 0 out of 0 members found this review useful. on June 25, 2012 0 out of 0 members found this review useful. One of the most scenic and beautiful short rides to experience. I rode it in the beginning of June 2012 and although the road quality was good there were many places that had just been renovated with loose gravel on the south side of the mountain. BE CAREFUL! Even in June there was snow at the summit albeit off road. What a fantastic ride, If you are going to be even close to the area it is worth the effort to make a side trip here. on April 4, 2008 0 out of 0 members found this review useful. This ride is spectacular in the fall. The beauty of the changing leaves cannot be described. Brad is right on about the fast descents coming down the other side of the Nebo Loop. Use your gears to help slow your descent. Also, watch the weather as at that altitude it may change quickly. We were there in June of '07 and got snowed on. It didn't stick to the pavement but it sure got cold quick. Be prepared!